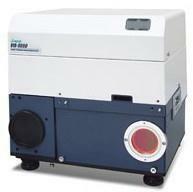 The VIR-9000 Series（VIR9000系列傅里叶红外光谱仪） is a compact, lightweight, flexible FTIR system. The collimated entrance and exit ports make it an ideal instrument to connect to any configuration. 傅里叶红外光谱仪的特点：The VIR-9000 Series（VIR9000系列傅里叶红外光谱仪） is a compact, lightweight, flexible FTIR system. The collimated entrance and exit ports make it an ideal instrument to connect to any configuration.The standard instrument includes a hermetically sealed interferometer, DLATGS detector, high intensity source, and automatic alignment. Options can be added for increased sensitivity, optional spectral ranges including NIR, and battery operation. Accessories include the Smart-Tech, gas cells, microscopes, fiber optics, and open path analyzers. 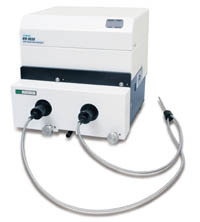 While incorporating a MPS sample compartment allows connection to any standard FTIR accessory. The system is designed to give high performance indoors or is equally suited for outdoors use as well. The VIR-9450 is the most economical general-purpose instrument and interfaces to all accessories. 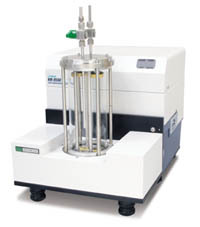 The VIR-9550 achieves a maximum resolution of 0.5cm-1 for a wide range of application on both solid and gaseous samples. The VIR-9650 covers the NIR spectral range from 15,000 to 2,200 cm-1. Fiber-coupled accessories allow in-line monitoring in reaction vessel or manufacturing lines. Using NIR techniques allow remote sampling from long distances up to 50 meters. Fiber-coupled accessories enable the non-destructive analysis of components in industrial products such as food, pharmaceuticals, and chemicals. A variety of fiber-coupled accessories include ATR, transmission, diffuse reflection or reflection probes. The short optical path of the VIR-9000 Series makes it resistant to the effects of interfering atmospheric gases such as water vapor and carbon dioxide. This enables analysis trace amounts of impurities used in high purity gases such as those used in the semiconductor manufacturing process. The patented Smart Tech enables simple easy analysis of powders or solids. Unskilled operators can get excellent results with little or no sample preparation. The MPS-9100 multipurpose sample chamber allows easy interfacing to standard FTIR accessories such as ATR, DR, RF, and others. Incorporating the MPS adds the benefits of accessory recognition and Quick-Start functions incorporated in other JASCO FT/IR's, these features aid in the ease of use expected in all JASCO FT/IR's.